SAVE THE DATE for the 78th Annual Conference of the American Humanist Association, June 7-9, 2019 at five university venues and online! We’ll be honoring the following individuals who’ve contributed to the humanist community. 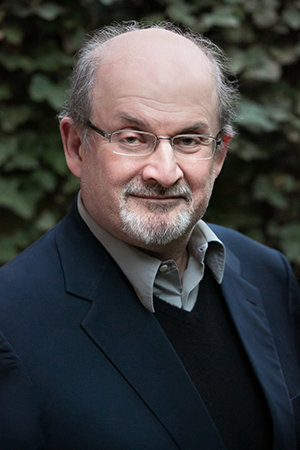 Salman Rushdie is the author of thirteen novels including Midnight’s Children, winner of the 1981 Booker Prize and Best of the Booker in 2008, The Satanic Verses, and most recently, The Golden House. His novel Quichotte is forthcoming from Random House in the Fall of 2019. He is also the author of a book of stories, East, West, and four works of non-fiction, including his memoir Joseph Anton. A member of the American Academy of Arts and Letters and a former president of American PEN, Rushdie is currently a Distinguished Writer in Residence at New York University. Salman Rushdie was knighted in 2007 for his services to literature. Dr. Pamela Gay is an astronomer, writer, and podcaster focused on using new media to engage people in science and technology. Her most well-known project is Astronomy Cast, a podcast she co-hosts with Fraser Cain (producer of Universe Today). Each week, they work to take listeners on a facts-based journey through the cosmos that explores not only what we know about the universe, but how we know it. Pamela and Fraser are now entering their ninth year of production, and thanks to the constant new discoveries coming out of the space science communities, they have no plans to stop recording any time soon. Getting people to learn science with Astronomy Cast is only half of the challenge. Pamela wants people to both learn and do science. Inspired by Fraser’s question, “Why can’t everyone access all the resources you have at a university?”, Pamela has worked with a great team of people to build the CosmoQuest virtual research facility. This second generation citizen science site is designed to provide the public with opportunities to participate in NASA-related science programs, while also giving them access to online seminars, star parties, classes and more. In addition to podcasting and getting people doing science, Pamela also works to communicate astronomy to the public through her blog StarStryder.com, through frequent public talks, and through popular articles. Her writing has appeared in Astronomy, Sky and Telescope, and Lightspeed magazines, and she has appeared on TV shows like The Universe. A public school kid through and through, she received a B.S. in Astrophysics from Michigan State University in 1996 and a Ph.D. in Astronomy from the University of Texas in 2002. Today, Pamela is a senior scientist at the Planetary Science Institute and is the current director of CosmoQuest. Although her first research love was and remains variable stars, she has also used her technology skills to explore the secrets of galaxy evolution and planetary surface geology. Today, along with her astronomy science research, she also focuses her efforts on trying to understand why people engage in science in their spare time. Barry A. Kosmin is Founding Director of the Institute for the Study of Secularism in Society and Culture (ISSSC) and Research Professor of Public Policy and Law, at Trinity College, Hartford, Connecticut. He was founding editor of the international on-line journal Secularism & Nonreligion (Ubiquity Press) and is a former joint editor of the journal Patterns of Prejudice (Routledge). Educated at the University of London and McMaster University, Canada he has been a member of the doctoral faculty in Sociology of the Graduate School of the City University of New York and has held teaching, visiting and research posts at Bristol University, London School of Economics, Open University, Oxford University, Queen Mary College, University of Manchester, University of Southampton in the U.K., the University of Cape Town and Hebrew University of Jerusalem. Dr Kosmin has been Principal Investigator since 1990 of the American Religious Identification Survey (ARIS) time series (CUNY Graduate Center 1990, 2001; Trinity College 2008-) His international research has focused on social surveys of (ir)religious and minority populations in Europe, Africa and Asia. Dr. Kosmin has published numerous academic journal articles, book chapters, monographs and research reports on aspects of humanism and secularism and its cognates. He is probably best known for publicizing the term “Nones” as a descriptor for the non-theistic population. Dr. Kosmin is a member of the Board of Directors and Chair of the Governance Committee of the Center for Inquiry. He is a frequent contributor to Free Inquiry and other secularist publications. Standup Comedian Leighann Lord was the New York City face of the African Americans for Humanism outreach campaign sponsored by the Center for Inquiry and it’s Millions Living Happily Without Religion Campaign. Author Chris Johnson featured her in The Atheist Book: A Better Life. Leighann has been a co-host on the Emmy-nominated StarTalk with Neil de Grasse Tyson. She has shared her comedic and hosting talents at many secular conferences including American Atheists, American Humanist Association, Center for Inquiry, DragonCon – SkepTrack, The PA Freethought Society, NECSS: The Northeast Conference on Science & Skepticism, and PASHTACon. Leighann is also a CFI certified Secular Celebrant; officiating at milestone life events commemorated with a nonreligious worldview. As a veteran stand-up comedian, Leighann has been seen on: Lifetime, VH-1, Comedy Central, and HBO. 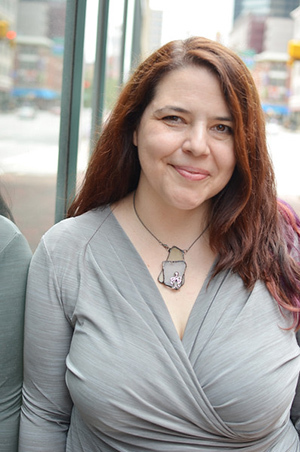 She is the author of Leighann Lord’s Dict Jokes: Alternate Definitions for Words You’ve Probably Never Heard of But Will Definitely Never Forget and Real Women Do It Standing Up: Stories From the Career of a Very Funny Lady. 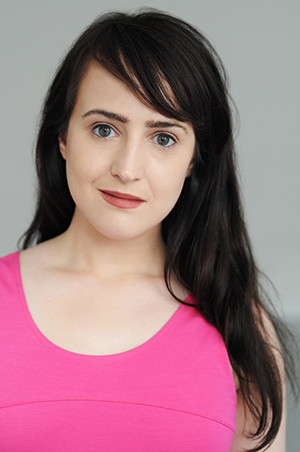 Mara Wilson, known for her childhood roles in Mrs. Doubtfire and Matilda, is a writer and actor living in Los Angeles. Recently, she has appeared on Welcome to Night Vale, Broad City and Bojack Horseman. Her writing has appeared on Elle.com, Reductress, and Cracked. She also publishes a newsletter of her writing with Substack, ‘Shan’t We Call the Vicar?’ which can be found at http://mara.substack.com. Mara’s first book, Where Am I Now? : True Stories of Girlhood and Accidental Fame is available from Penguin Random House. Follow her on Twitter at @MaraWilson. 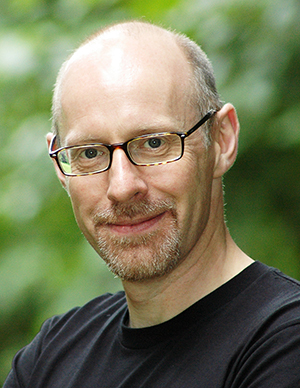 Described by a Scientific American columnist as ‘…one of the most interesting and innovative experimental psychologists in the world today’, Professor Richard Wiseman’s books have sold over 3 million copies worldwide, and he has presented keynote addresses to The Swiss Economic Forum, Google and Amazon. Richard holds Britain’s only Professorship in the Public Understanding of Psychology at the University of Hertfordshire, is one of the most followed psychologists on Twitter, and the Independent On Sunday chose him as one of the top 100 people who make Britain a better place to live. A Member of the Inner Magic Circle, Richard’s illusion-based YouTube videos have attracted over 500 million views, and he regularly acts as a creative consultant including work with Derren Brown, the hit US TV show Brain Games, and the Royal Opera House.